A new documentary is showing the lives, loves, struggles and experiences of LGBT Christians as they really are – not the stereotypes they are often portrayed as. Parents, children, partners, couples and supporting pastors and psychologists speak from the heart about the experience of coming out in a Christian environment. Coming out can be a difficult time for Christian families, individuals and those close to them. They often feel completely alone in the world,” he explains. Since reactivating my OkCupid profile two months ago, I’ve received dozens of messages mentioning my religion. My identity as a Christian is important to me, so I let potential suitors on the Internet know that if they wanted to go to brunch on Sunday, it would have to be after 11 o’clock Mass. However, most of my potential dates — whether we’re meeting online or off — don’t know what to make of me. Are things really getting better for LGBT students on Christian campuses following the Supreme Court’s marriage equality decision? Openly gay methodist youth minister, Michael James Alexander Szalapski of Clarksville, Tennessee uses the Grindr app to reach out to gay Christians and invite them to his gay-friendly church. Szalapski was recruited to work with youth at his church specifically because he was gay and the church felt the youth of their congregation would benefit from in his insight and experience. Progressive, right? Filmmaker Christian Hendricks, stumbled upon Szalapski on the mobile app as part of his project “South of Ohio,” in which he travels through the South of United States, documenting things of interest. Hendricks interviewed Szalapski and discussed his use of the “dating” app as a recruitment tool. That conversation led to some interesting insight into Szalapski’s own journey in his faith. – continue reading at Instinct. For most gay Americans in the 20th century, the church was a place of pain. It cast them out and called them evil. It cleaved them from their families. It condemned their love and denied their souls. In 2004, a president was elected when religious voters surged from their pews to vote against the legal recognition of gay relationships. When it came to gay rights, religion was the enemy. more at Molly Ball – The Atlantic. I live in a context where it has sometimes been easier to come out as a lesbian than as a Christian. This is not a reality foreign to “progressives” who hold Christian faith; it is one, however, that I have been consistently working against throughout my close to 10 years of ordained ministry. Once you are ordained this reality only heightens. Imagine secular gatherings, from airplanes to cocktail parties. The first thing out of people’s mouth is often: “What do you do?” to which I have found many creative responses, depending on my mood and how much I want to talk (or really listen). They range from “I am a pastor” to “I am an activist for LGBT people” and everywhere in between. Neither tells the whole story. However, both are true, both often shut down conversation, and both often elicit long stories from my interrogators about the value of LGBT people and religion both. Suffice it to say, in these conversations I am reminded again quite quickly of why I have been gun shy about my Christian identity for so long. Therefore, much of my pastoring life has been on the defensive, justifying to others both inside and outside of the church, and at times to myself, how I can be a Christian, a pastor and a lesbian, and why these identities are inseparable for me. I work with people, many of whom are curious about what a life of faith might look like and attempt to put language on what faith has been for me and how Scripture can be a place of liberation, not death-dealing oppression as many of us have experienced. The most recent incarnation of this call has been in the new worshiping community I have begun called Not So Churchy. -continue reading at Rev. Mieke Vandersall: Huffington Post. Eager to downplay theology entirely in favor of secular political causes. As I read it, his argument, shared by many, is that the church is essentially translating liberal views of sexuality into the language and forms of the faith. If the Bible speaks out against homosexuality, then a church that moves to embrace homosexuals must be acting not according to theological thinking but to political factors. 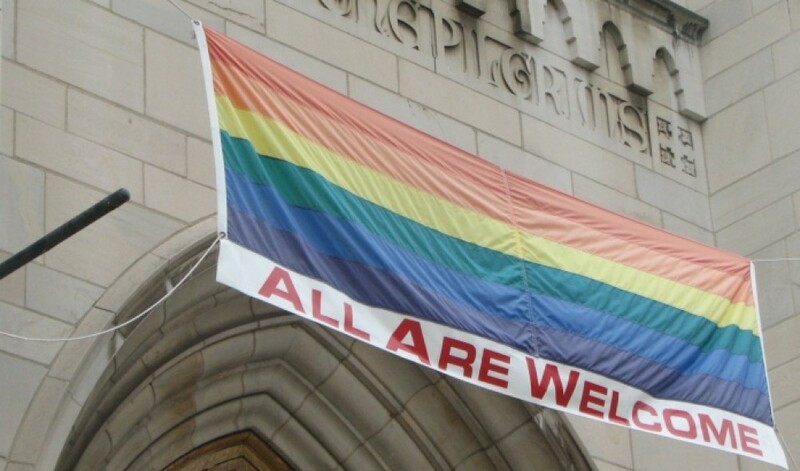 Put another way, the Episcopal Church has taken the course it has taken on sexuality because it is politically fashionable to do so, not because there is a theological reason to open its arms wider. The problem with this argument is that it ignores a long tradition of evolving theological understanding and changing scriptural interpretation. Only the most unapologetic biblical fundamentalists, for instance, take every biblical injunction literally. If we all took all scripture at the same level of authority, then we would be more open to slavery, to the subjugation of women, to wider use of stoning. Jesus himself spoke out frequently against divorce in the strongest of terms. Yet we have — often gradually — chosen to read and interpret the Bible in light not of tradition but of reason and history. -full commentary by John Meacham at TIME.com. 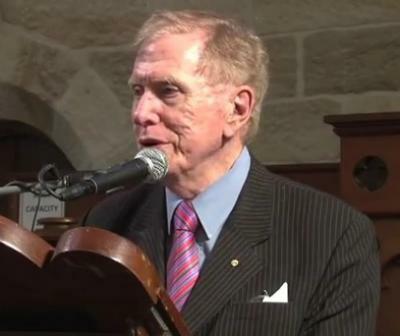 Retired high court of Australia judge Michael Kirby has spoken about reconciling his homosexuality and his Christianity. In an interview with Jesuit media channel Eureka Street TV that was broadcast this week, Kirby describes himself as a ‘Protestant Anglican Christian’.